Charlotte Golar Richie is a former state representative who works for YouthBuild USA, a nonprofit organization. A small coalition of progressive lawmakers and political activists with ties to Mayor Thomas M. Menino is rallying around the fledgling mayoral campaign of Charlotte Golar Richie, presenting the possibility that she could overcome entrenched racial and ethnic boundaries. The group has the potential to provide entree to historically white political power bases in Brighton, Charlestown, and the North End, neighborhoods where members of minority groups have struggled to find significant traction in citywide races. 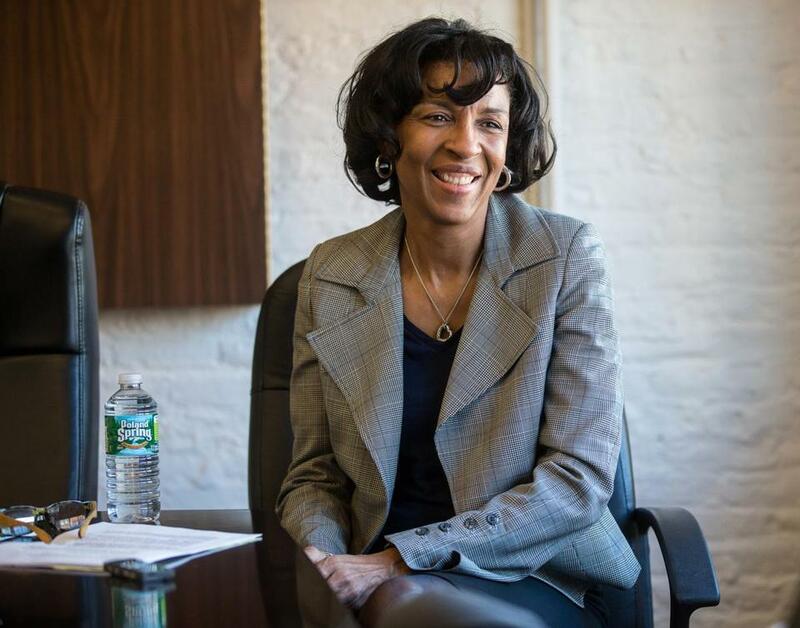 That support could shift the campaign arithmetic in favor of Richie, the most prominent African-American and woman in the field of candidates hoping to succeed Menino. Richie, a former state representative and aide to Menino and Governor Deval Patrick, now works at YouthBuild USA, a national nonprofit focused on affordable housing and underprivileged youngsters. Moran and Democratic state Representative Aaron Michlewitz of the North End, who have sturdy political operations in their neighborhoods, are poised to formally endorse Richie within days. Richie has also won the backing of Charlestown brothers Edward and Dennis Calla-han, key cogs in Menino’s political operation in that neighborhood. The thickly populated field in the race — 24 candidates filed for nomination papers, and handicappers regard about 10 of them as viable — increases the value of consolidated blocs of support. Such a crowded field places a premium on candidates’ abilities to transcend ready-made power bases, whether defined by geography, ethnicity, or affiliation with interest groups. “From our perspective, we come from neighborhoods that are not the center of a mayoral candidacy, so we get to look at it from a different perspective,” Moran said. There is no major mayoral candidate from his Brighton neighborhood, and none from East Boston, Charles­town, the North End, or the South End. As the roster of candidates began to take shape after Menino’s announcement in March that he would not seek reelection, the lawmakers advised local supporters not to commit to candidates unless it was someone with whom they had ties. After vetting several other potential candidates, some of whom chose not to run, the small coalition settled on Richie, even before her intentions became public May 1. Her potential to become the city’s first mayor who is not white or male set her apart in a field crowded with men. “I think Charlotte’s strong candidacy is the next step in making Boston a more inclusive city,” Michlewitz said Thursday. Moran, Michlewitz, and the Callahans had been unsure they could settle on one candidate, each having his own coterie of supporters who needed to vet names, Michlewitz said. They perked up when Richie’s name was floated in mid-April, exchanging text messages to gauge interest. Three days after the Boston Marathon bombing, they met at Hillstone, near Faneuil Hall, to discuss a group of about four candidates who had sparked their interest. Nine days later, they met again, this time at Sullivan’s Pub in Charlestown. Over beers, they started coalescing around Richie. The decision further fractures the city’s all-Democrat State House delegation. Senator Anthony Petruccelli of East Boston and Representative Angelo Scaccia of Readville have sided with Hyde Park City Councilor Rob Consalvo. Representatives Elizabeth Malia of Jamaica Plain and Eugene O’Flaherty, who lives in Chelsea but whose district includes Charlestown, are backing Representative Martin J. Walsh of Dorchester. Representative Carlos Henriquez of Dorchester said he is supporting John Barros. Representative Edward Coppinger of West Roxbury lined up with Councilor John R. Connolly. Representative Carlo Basile of East Boston initially sided with Suffolk District Attorney Daniel F. Conley. But Conley’s announcement this week that he supports a citywide referendum on a casino at Suffolk Downs, a break with Menino and East Boston lawmakers, may cost him Basile’s backing. Basile, who helped author legislation aimed at confining the vote to East Boston, said he was contemplating pulling his endorsement. “This is just too big of an issue in my community,” he said. Regardless of her mounting support, Richie’s candidacy faces major hurdles, including a departure from the Patrick administration clouded by ill feelings between her and other top aides and a political operation desiccated since she left office in 1999. As candidates ricochet around the city in the quest for votes, the electoral potential in each neighborhood is a cherished commodity.